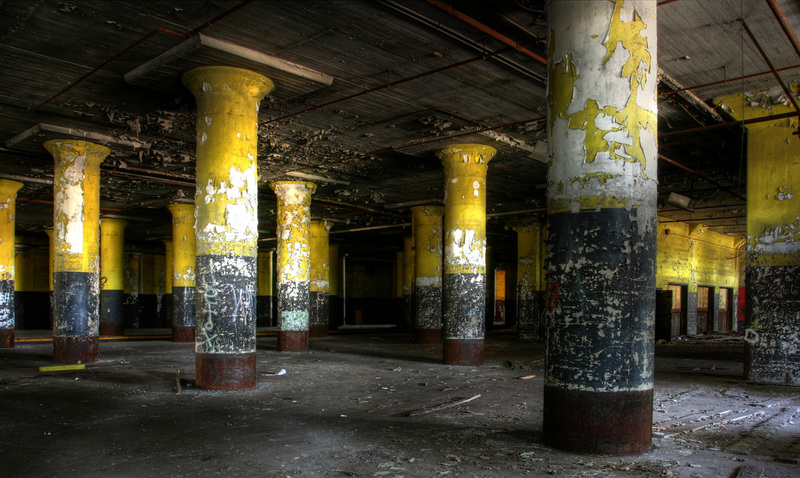 Accompanying the loss of industry was the loss for the need of shipping and receiving. 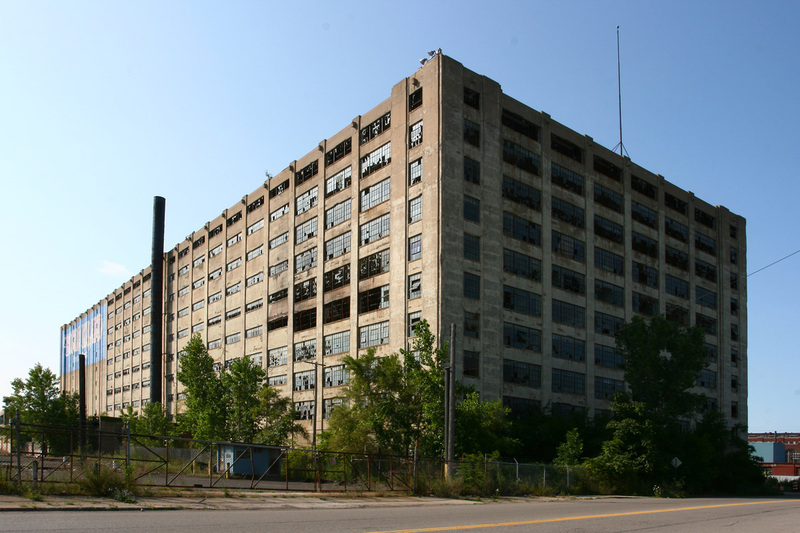 Along the once busy Detroit Harbor sits this abandoned warehouse. 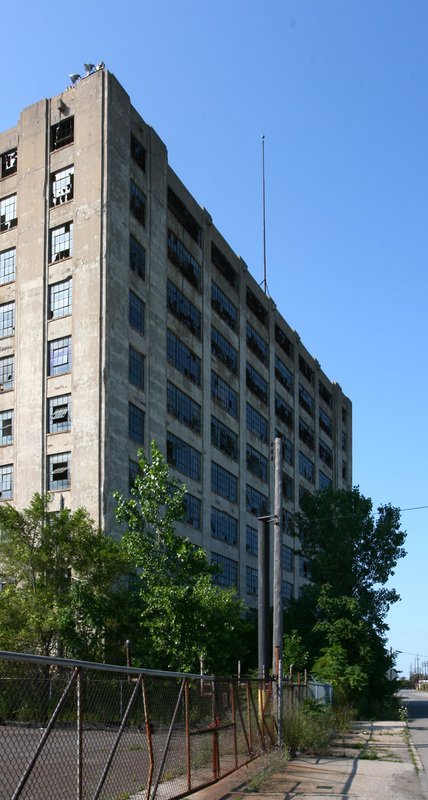 It's a massive 10 story building with a dozen large freight elevators, provisions for refrigerated storage, etc. 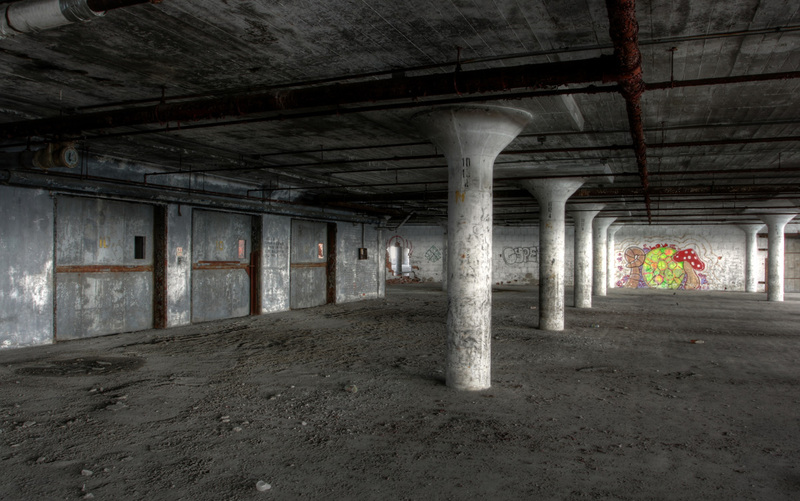 Once a key point of international trade, the Harbor Terminal Building now sits empty and decaying. 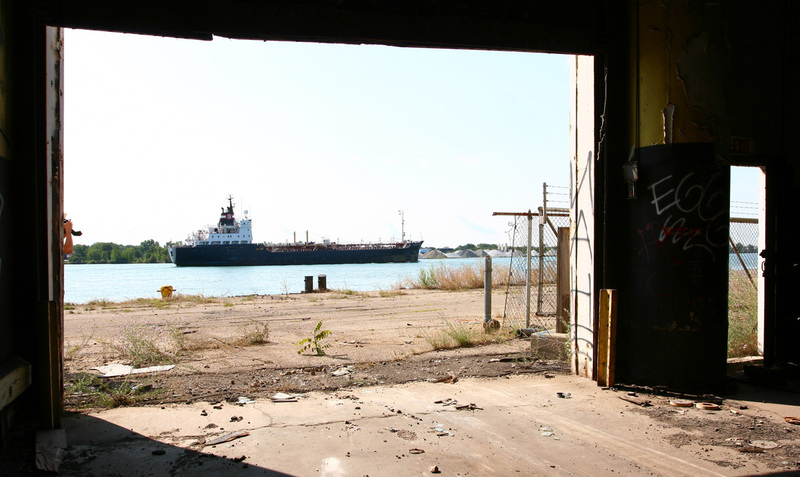 Exterior of abandoned harbor warehouse. 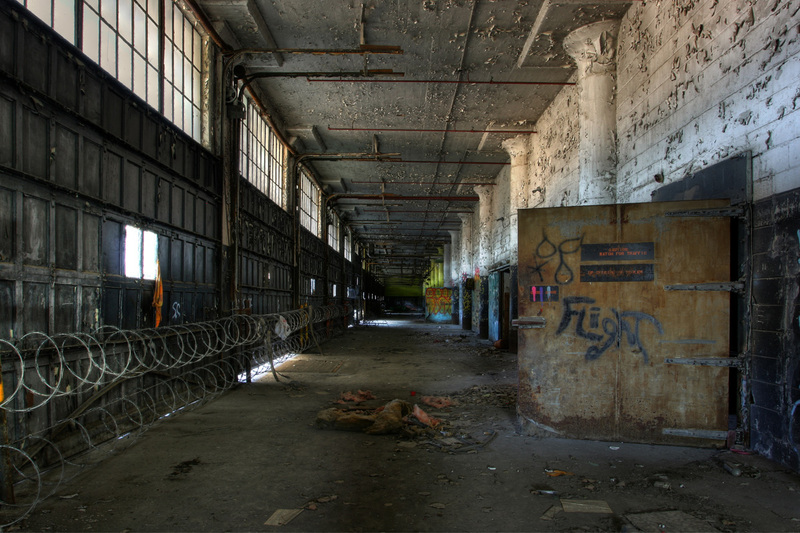 Ground floor of warehouse, barricaded to prevent scrapping. 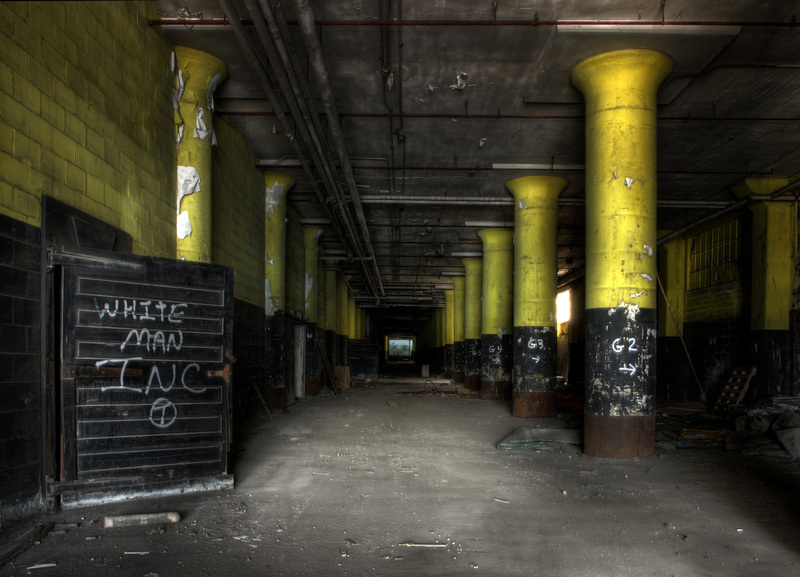 Bright yellow paint still shines in the sunlight. 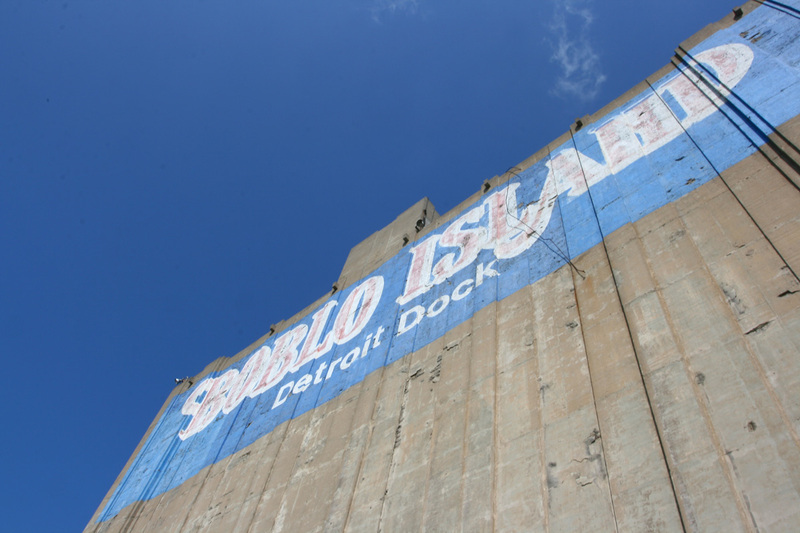 A sign of life as the harbor terminal is passed by. 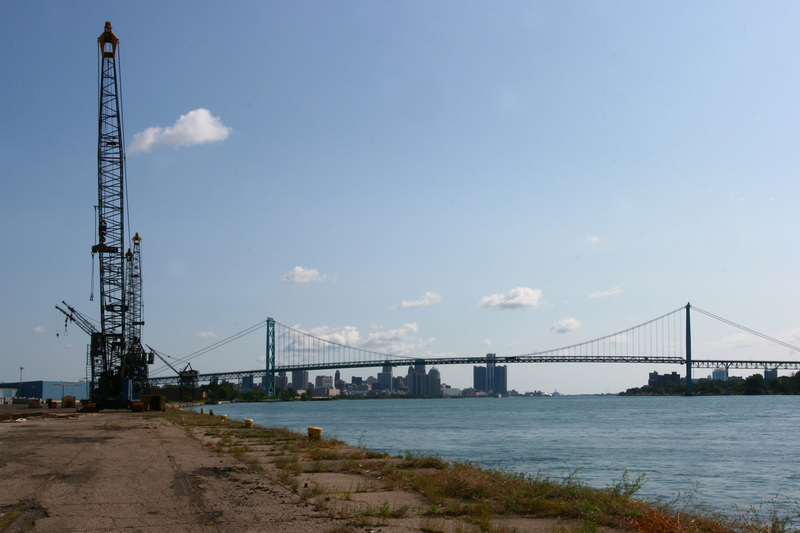 The Ambassador Bridge and the Detroit skyline. 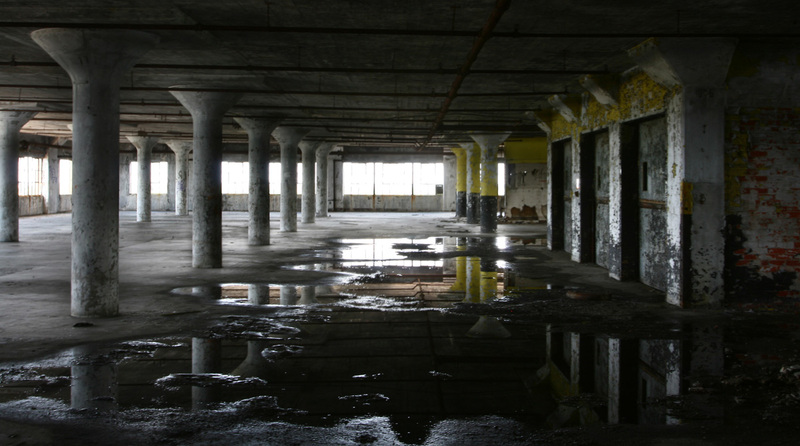 One of the ten warehouse floors. 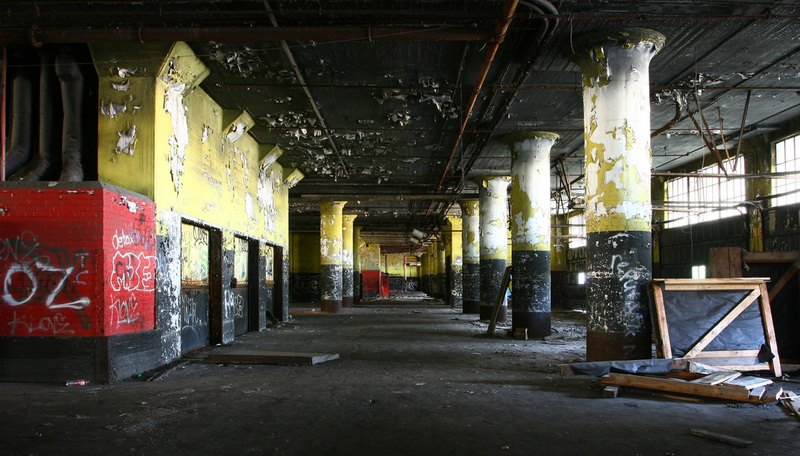 Freight elevators on the tenth floor. 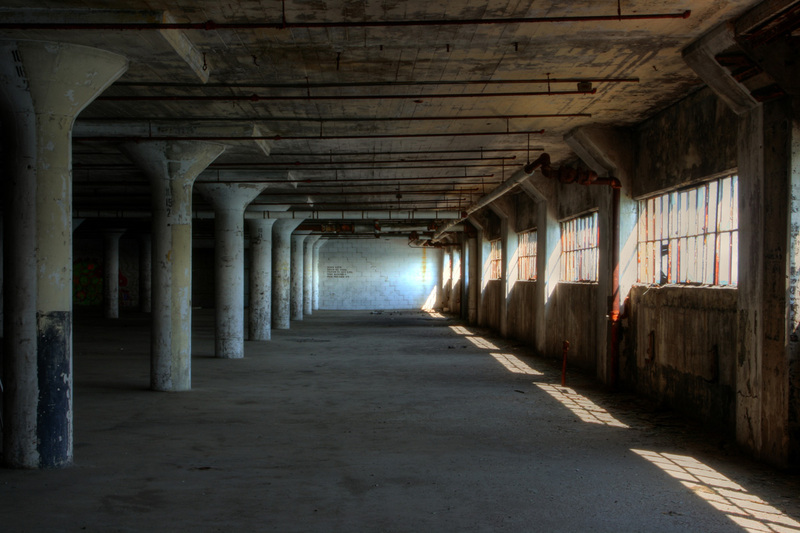 Daylight filters into the building. 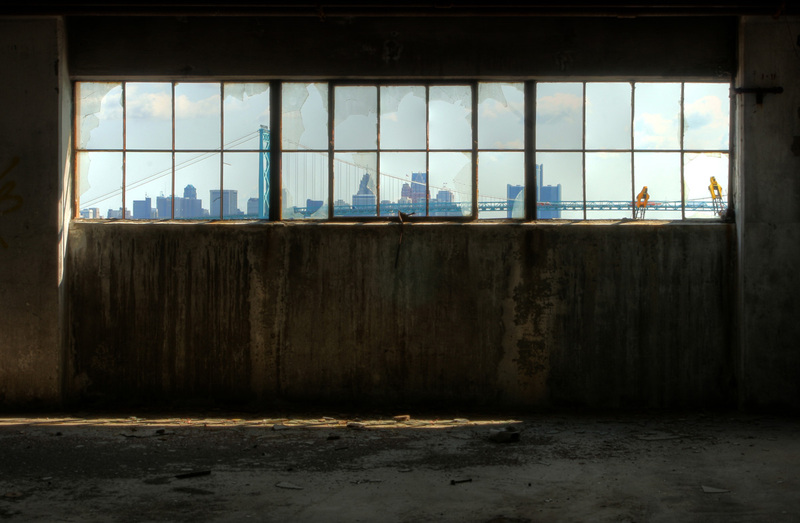 Window, Ambassador Bridge, Detroit skyline.